The holidays may be over, but that doesn’t mean that you can’t go out and buy some gadgets for yourself or for your family and friends. If you’re going for the adorable yet practical route, then you might find that the Andru Android USB Mobile Charger will suit you nicely. 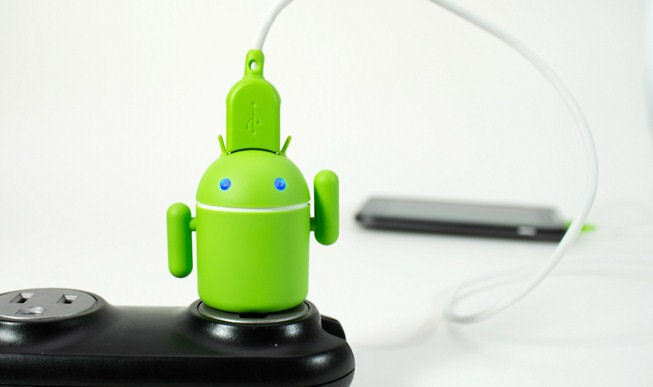 The Andru Android Mobile Charger is a universal USB charger that takes the form of Android’s iconic “Bugdroid.” If you’re thinking this is another one of those gimmicky chargers that take advantage of the fact that it’s designed after a character, think again. Andru is a premium USB charger, and the quality of manufacturing shows just how much attention to detail was incorporated into its design. Andru’s antennae, for example, are made of a pliable rubber for a bit of realism, and the body has a finish that’s smooth to the touch. Even the USB cable hasn’t escaped thoughtful design; it’s made out of a durable rubber and the tips are colored for accents. Another fun fact about the Andru Android Mobile Charger is that its eyes light up and even serve a secondary purpose: a night light. The universal charger more than adequately handles its primary purpose. It possesses an Ample 1A output, which gives it enough power to juice up a wide range of electronic USB devices. Perhaps, the most fascinating thing about the Andru Mobile Charger is that it is also a figurine. You can move its arms to any position you like, and it even comes with a display stand, if you just want to show it off. Andru is available in three colorways: the classic green we all expect from Android, black, and albino white. The universal chargers runs for $25, a bit on the expensive side, but then again you’re not exactly paying for a normal charger. The only foreseeable problem consumers may come across when using the Andru Android Mobile Charger is that it won’t be able to handle larger devices as efficiently. Larger USB electronics usually need a 2A power output. No worries, though, it’s not that Andru won’t charge larger devices – it will just take longer than usual to do so. This entry was posted in USB Charger and tagged AC to USB, Android, Andru, Charger, Wall Charger. Bookmark the permalink.